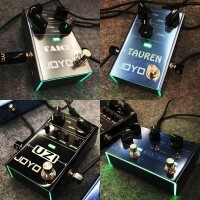 The JOYO Rockdriver series Pedal Board portable effect case that you can roll around with the extendable pull bar and smooth wheels. 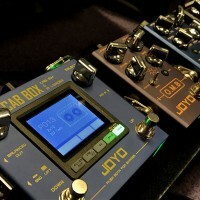 Easily separate the top and bottom cases to reveal a conveniently angled pedal board! Portable and affordably priced, RockDriver allows you to take your gear truly anywhere! A Truly Portable Pedal Case on Wheels.